It’s all about timing. Being a professional boxer, timing is critical for tactical advantage and game rules. 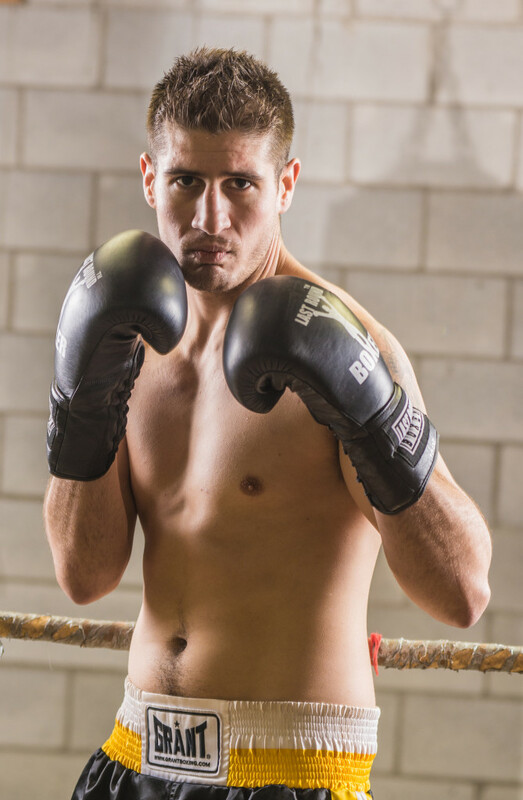 This month’s feature is Stuart McLellan, local professional boxer. Stuart knows all too well how much time and dedication working your way up to pro takes. Born and raised in Williams Lake, Stuart began his journey at the young age of eleven. He spent many hours at the local gym learning and honing his technique. After the original coaches – Lance Grey and Rick Alberten – moved on, the gym was left to Stuart’s Dad Gary, who has been with him all the way. “Boxing is kind of a family thing” says Stuart, as his Dad coaches, and his Brother Roberto is also a pro boxer. Stuart’s Mom Vicky is a boxing judge. Stuart says they often all travel together, and his Dad has worked his corner for the last thirteen years. As a boy, Stuart won the Golden Gloves Championship four times, and won silver at the National Championships in 2004. After forty-five amateur fights, Stuart turned pro in 2007. He won the Maritime Championship and the Eastern Canadian Championship in middle weight as a professional. Stuart often goes to Edmonton to practice his sparring and work on his training. He trains with MMA fighters, and UFC fighters Matt Dwiere and Shane Campbell to name a few. Stuart fights all over the country, from Moncton to Halifax, and throughout Alberta and BC. When asked about hobbies, Stuart says, “It’s kind of a lifestyle really,” referring to all the time spent at the gym and in training. When not at the gym, Stuart’s day job is working at a local construction company. Stuart’s record is an impressive one with 12 wins, 2 losses and 3 draws. He is also an amateur boxing referee and a judge in his spare time. He spends hours volunteering his time, helping young boxers at the local club which is entirely run by volunteers. Timing is everything when it comes to boxing; the amount of time training and preparing, the time in the ring, the well-timed blow that ends a fight, or knowing when it’s time to move up or move on. Coming up in February is a fight in Calgary that Stuart is training for. As for the future, he plans to return to the Canadian Championships where first time around he was unsuccessful. “This year my goal is the Canadian title, and then the sky’s the limit. Maybe then rebuild and fight the best,” says Stuart. Only time will tell what the future holds. In the meantime, Stuart continues to train and look to the future.